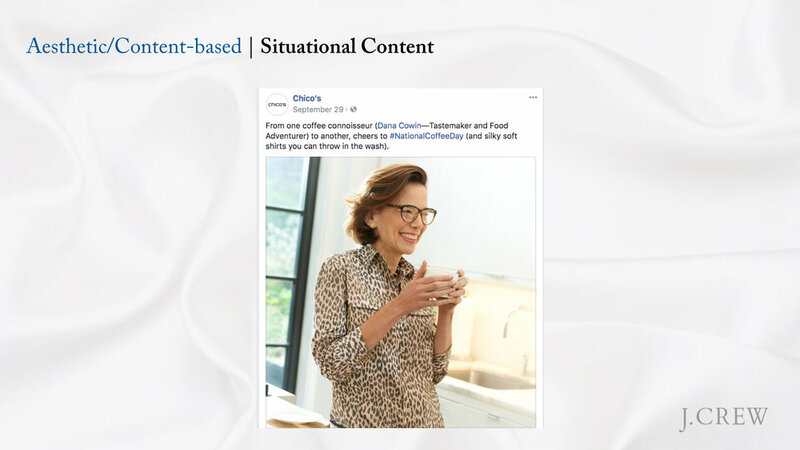 J.Crew has an audience engagement problem. Insights from competitors on Facebook can help. Retail giant J.Crew is faltering while competitors (like sister store Madewell) flourish. Part of the problem? A lack of real audience engagement on social platforms like Facebook. 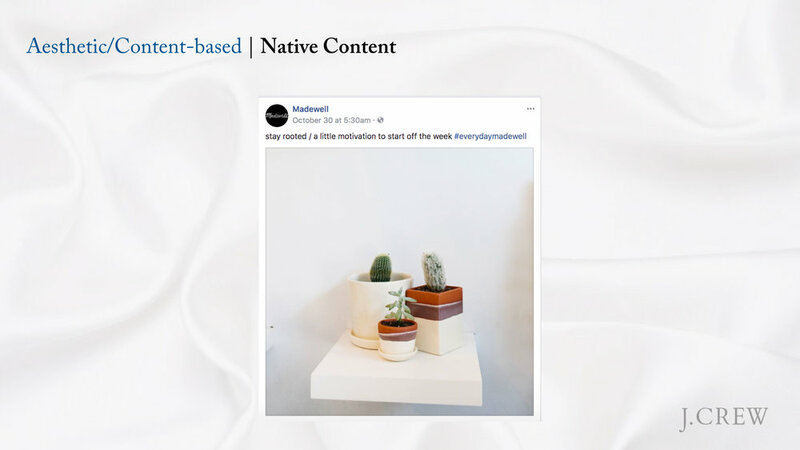 I created a content analysis coding scheme and processed hundreds of Facebook posts from J.Crew, Madewell, H&M and Banana Republic using Shareablee Social Intelligence data. After visualizing and analyzing the quantitative coded data using SPSS software, I made recommendations for J.Crew to consider in the future.